Mike Marqusee, who died this week, will be sorely missed by the thousands of people whose lives he touched during a varied career – a highly intelligent and, above all, compassionate man, Marqusee was a journalist, activist and author of distinction. 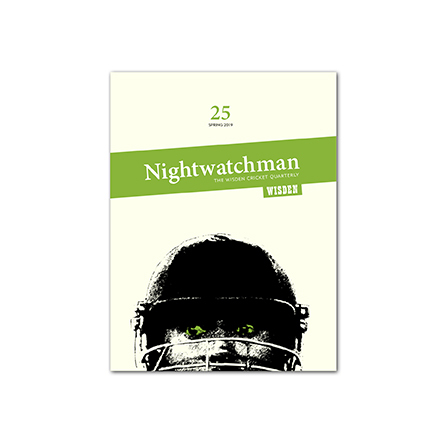 His contribution – published in issue 7 – to The Nightwatchman may have been relatively small but – like most of his writing – it is perfectly formed. We’ve published his essay in full for everyone to enjoy. Let’s imagine a group of ultra-intelligent extra-terrestrials who visit Earth and find themselves at a cricket match. I’d submit that, given sufficient time, they would be able to deduce the rules of the game in their entirety (even the lbw law) from direct observation, without the aid of a native interpreter. The mechanism of the competition would become intelligible to them: runs and wickets, overs and innings, the ten ways of getting out, the no-ball, the draw. What would remain a mystery to them is: why? Why did earthlings expend so much time and passion on this apparently pointless exercise? What purpose did it serve? A school of functionalist anthropology sees games as rituals designed to reproduce social norms and integrate the individual. Post-modernists read games as texts, successions of signifiers. A psychoanalytic approach sees them as sublimations of sexual desire. A sociological approach sees modern-day leisure in general as a means of maintaining a productive workforce. A political lens sees games as nation-builders or release valves for social conflict. And then there’s the brutalist school, which sees them purely as a means of generating profit. None of these explains what it is that drives people to watch cricket or other sports. We don’t go seeking social integration, even if in some cases that is the upshot of the exercise. We don’t go in order to be more efficient workers or to fulfil a social duty (most of us, that is). And while unconscious drives are certainly at work, as a vehicle of sexual gratification cricket is pretty inefficient. Sports are wonderfully pointless. They are their own means and ends. That’s central to their appeal. Whatever social function is assigned them, they exceed that function, impose their own demands and disciplines, and beguile the spectator in their own manner. The rules governing games are empty forms, fleshed out by the human bodies engaged in them. Therein lies, I think, a key to their perplexing fascination. Sports offer a living mixture of the abstract and concrete, the impersonal and the personal, fixed laws and ceaseless spontaneity. The paradox is that – precisely because they are empty, impersonal mechanisms without intrinsic meanings – they can be filled by the spectator with all manner of significance. They can soak up every conceivable desire or emotion, every interpretation projected onto them. Sometimes, at a tense moment in a big match, you can feel vast ocean-streams of desires, fears, hopes, swirling around the ground. We are not just “consumers” of cricket. Watching is not a passive process; it engages a range of faculties – imagination, interpretation, memory. CLR James found “the beautiful” in cricket and identified it with drama, dance and the visual arts. Derek Birley dubbed this “the aesthetic fallacy”. Beauty in cricket is abundant, but it’s always an incidental by-product. It’s not the aim, the driving purpose, of the exercise, as it is in the arts. In fact, I’d suggest that the appeal of sport lies in the crucial ways it differs from the arts. Unlike novels or movies, the drama of sport unfolds spontaneously, without a controlling author, with no predetermined plot, climax or conclusion. Unpredictability is its bedrock. That’s why bookies accept bets on sports, and also why even the most marginal act of spot-fixing undermines the legitimacy of the spectacle as a whole. It must be unscripted or it’s not sport. That’s not to say that cricket doesn’t have its aesthetic pleasures: balance in movement, elegance of form and delicacy of touch. However, there’s no beauty if the effort fails. If the fielder drops the catch, no one remembers the balletic leap. The front foot drive, however graceful, is always incomplete if it’s intercepted at cover. 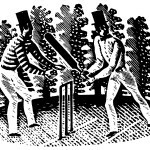 Unlike a dancer, a cricketer faces an opponent, whose aim is to throw him or her off balance, to make the graceful follow-through look an ungainly air-shot. Competition is the foundation, the necessary platform of the aesthetic in sport, which doesn’t exist apart from it. That’s why it’s possible to enjoy and appreciate “ugly” cricket, even find it beautiful in its way, depending on the circumstances and the personalities involved. The pre-condition for the pleasures of sports competition is that in itself it has no costs (at least for the spectator). Unlike other forms of competition – wars, elections, competition for jobs or markets – it is fundamentally inconsequential. Defeat may be crushingly disappointing but that disappointment is the only cost and it’s ephemeral. Unlike competition in other spheres, the aim is not to destroy or remove the opponent; on the contrary, if the opponent can’t turn up for the next game, there’s no game. The premise of competitive sport is that each match is a fresh start on a level playing field. That’s why we are free to enjoy it, to invest what we like in it, and to divest ourselves when it’s convenient. So it comes back to that primal fact in sport’s appeal: its triviality in the scheme of things. Cricket offers all the pleasures of sport in general, plus a highly distinctive appeal of its own to which many elements contribute. One of the chief of these is the way it treats time and space. As the world’s first and oldest modern spectator sport, cricket is marked by an earlier era whose patterns of leisure and work have long vanished. It keeps its own, archaic kind of time. Test cricket, in particular, defies the appetite for instant gratification, offering instead something that matures and acquires depth along the way. I think this expanded sense of time also mitigates the aggressive, hyperventilating individualism on conspicuous display in many other sports. With a distinctive use of time comes a distinctive use of space. Cricket is a game with a determined centre and an indeterminate periphery. It’s quite different from baseball’s uni-directional diamond or the rectangular formats of other games. There’s a fixed centre (the straight line between the two wickets) around which the game rotates as on an axle. All 360 degrees of the circle are in play. And, thanks to the change at the end of the over, the whole field is active. No space is neglected or goes to waste. As a team game, cricket demands an exceptional variety of specialist skills, as well as accommodating a variety of physical types. Players have to perform different roles in different phases of the match. So you get the joy of the occasional slow bowler who only comes on so that the front liners can change ends but winds up taking a clutch of wickets. Or the perversely engaging spectacle of tail-enders coping with, and occasionally confounding, master bowlers. Then there’s the fascination of the pitch, which decisively shapes the matches played on it. Tennis requires adaptation to hard courts or grass courts, but cricket requires adaptation to a much wider spectrum of conditions, which vary even in the course of the match. As a result, cricket, however global its spread, always acquires a local flavour. The enduring mystery of the pitch – so frequently defying expert predictions – is complemented by the peculiarities of the ball, another legacy of cricket’s pre-industrial roots (using leather, twine and cork, but not rubber), whose behaviour can be wildly variable. Unlike other ball games, in cricket the ball is allowed to age, and therefore dealing with both old and new balls is a necessary craft for bowlers and batters alike. That leads to another one of cricket’s curiosities: its mysterious physics. It’s hard even for scientists to explain the vagaries of swing bowling or a slow bowler’s drift and dip, how they’re produced and why in some conditions they can’t be produced. Cricket is all about the behaviour of spheres in motion – and spheres in motion, as it happens, is also what the universe is about, at macro and micro level. But the most intriguing of cricket’s mysteries lie within: in the mental world of the players, in the fluctuations of form, in the struggle with doubt, inhibition, uncertainty. We talk about “determination” or “aggression” or “competitiveness” as if these were self-evident. But behind the words lie complexly shaded psychological realities. The whole past of the individual and the team comes into play; it’s the deep, ever-present background. In cricket the impersonal and implacable rules of the game generate an array of situations in which highly individual moods, attitudes and habits are revealed. The transformation of a losing into a winning position, the interplay of attack and defence, are subtler than in other sports, with more scope for ups and downs and changing tempos. It’s a cumulative process but never merely an arithmetical one. A passage of play in which not much seems to happen can be seen retrospectively, after the batting collapse or the run glut, as a passage in which all kinds of things were happening: small adjustments made or unmade, stamina and concentration stretched. Dramatically, I can think of few spectacles in sport more engrossing than a team chasing a victory target or battling for a draw in a fourth innings on a deteriorating pitch. Whichever side you support it’s intense. Each ball affects the balance of probabilities. For both sides, it’s a test of nerve, skill and judgment, plus a dash of luck. For the spectator, it’s a rollercoaster, a wild ride that’s risk-free. Cricket also has its guilty pleasures, not the least of which is schadenfreude, something generally kept under wraps in other spheres of social activity. For the crowd, the misfield is always a highlight, and the bullying batter brought low by the innocuous-looking floater a cause of merriment. Then there’s the perversity of simultaneously wanting the other side to fail and to make a game of it (not to fail), wanting to see stiff competition but apprehensive of defeat. These are contradictory emotional states which in daily life could cause psychological damage; in cricket, they’re something that can be enjoyed and relished, with no harm done. The Victorians developed their ethic of cricket (leadership, teamwork, character-building) because they were ashamed of their fondness for this silly game and sought a higher justification for playing it. In the 21st century, in a world where economic “productivity” is the measure of the individual, where only what is “useful” is valued, cricket’s justification is that it has no justification. It is a sublime exception, an oasis of the useless and the unproductive. Of course, we don’t always get the pleasures we seek in cricket. Play can be boring or one-sided or mediocre, not to mention rain-interrupted. That’s the risk the spectator takes. Cricket doesn’t have the reliability of fiction, where the narrative is controlled for dramatic effect. But while the drama may not be guaranteed, what matters is that it is always possible. So what exactly are the pleasures we seek in watching cricket? What desires does it satisfy? They belong to everything about us that is all-too-human. Which is why they’d remain unintelligible to our extra-terrestrial visitors. This piece first appeared in Wisden India Almanack 2014.